The Guitar Concerto was completed in April, 2000 and first performed later that year by Craig Ogden and the Leeds Symphony Orchestra conducted by Martin Binks. The work is scored for a large orchestra with a large array of percussion, glockenspiel, harp and celeste. 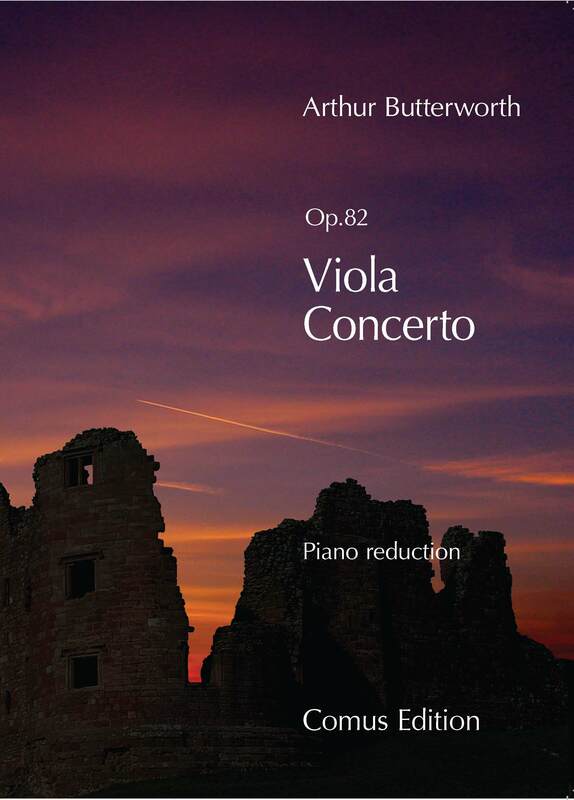 Unlike the Nordic aspect of much of Butterworth's music, this concerto is unmistakably Mediterraneon in outlook with moments of brooding intensity and sorrow reflecting Spain as clearly as Italy in his Italian Journey and Concerto alla Veneziana. 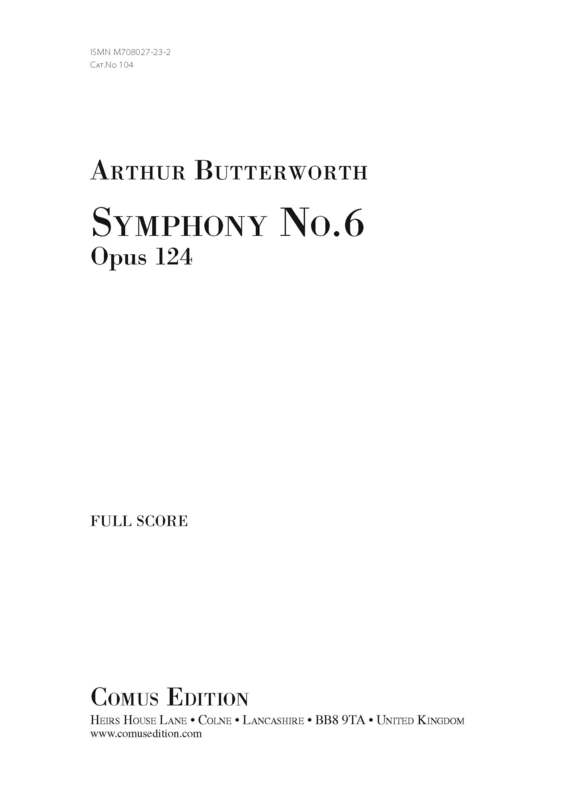 Butterworth completed the work in 1992 and it was first performed by Peter Lale (Vla) with the BBC Philharmonic conducted by Jason Lai to mark the composer's 70th birthday. The concerto has now been recorded by Sarah-Jane Bradley with the Royal Scottish National Orchestra conducted by the composer. 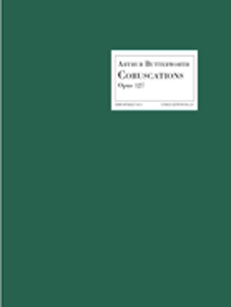 This short piece was written in 2006 for the Lancaster based Haffner Orchestra with whom the composer had appeared on a number of occasions as guest conductor. The music was inspired by the view from the high moorland overlooking Morecambe Bay towards the distant hills of the Lake District on a midsummer evening. Although one might perhaps discern veiled hints of the great Scandinavian composer Carl Nielsen in the first movement of this symphony it was initially contemplated in Yorkshire and the borders of County Durham in late autumn - bright, but cold November days with frost at night. The second movement - a scherzo - recalls the composer’s war-time experiences: early field exercises and training in the north, the land of Shakespeare’s “Macbeth” which had so fascinated him in school days. There follows a contemplative slow movement and the last movement, like the frenzied finale of the First Symphony is a moto perpetuo. 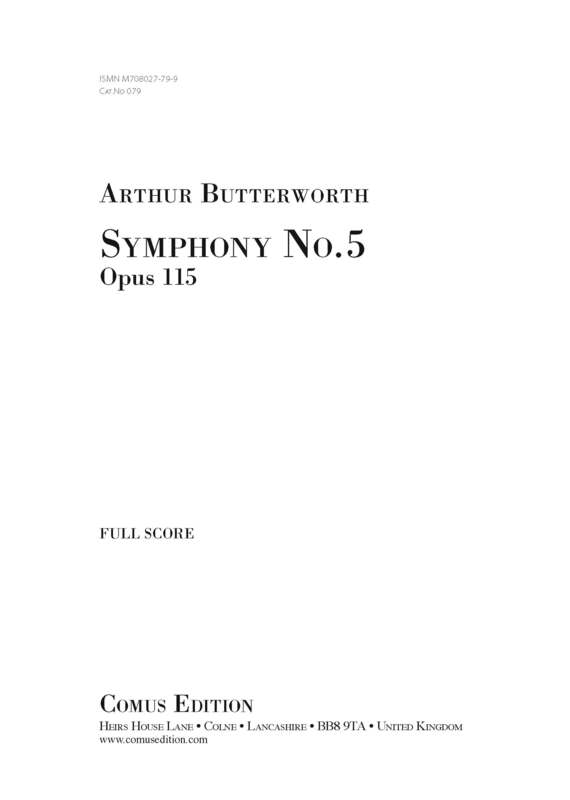 The Fifth Symphony was composed as Butterworth approached his 80th year. It is essentially a contemplative and reflective work, more purely classical and restrained than the previous four symphonies, although sharing an emotional affinity with the third, 'Sinfonia Borealis' of 1979. Unlike the first, second and fourth, where the multifarious timbres of a large orchestra are exploited, this symphony takes more account of line and shape than of colour. Except for harp and some modest percussion, the scoring calls for quite slender resources and a sense of clarity prevails. The Symphony was completed in 2006 and premiered at the St Petersburg British Music Festival in 2009 by the St. Petersburg State Academic Capella Orchestra conducted by Matthew Taylor. 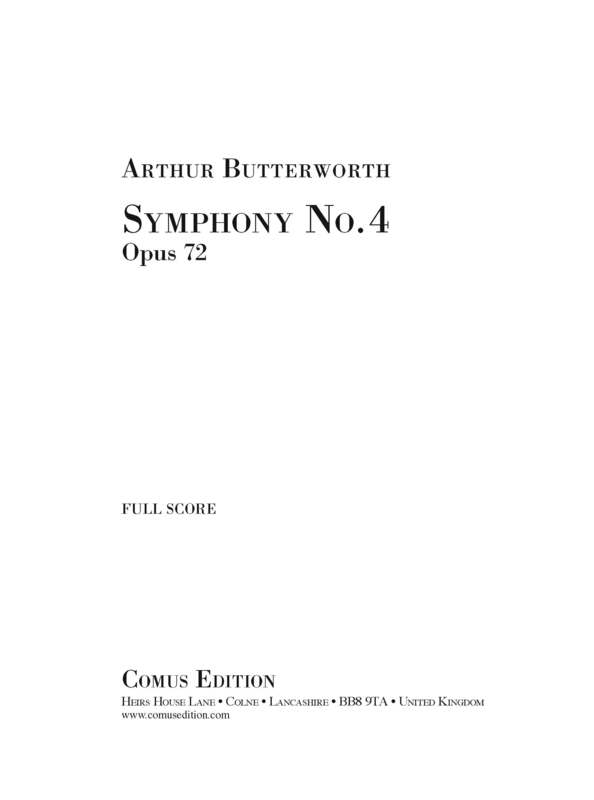 The Seventh Symphony was completed in 2010 and premiered on 28 February 2012 by the Huddersfield Philharmonic Orchestra conducted by Nicholas Smith. 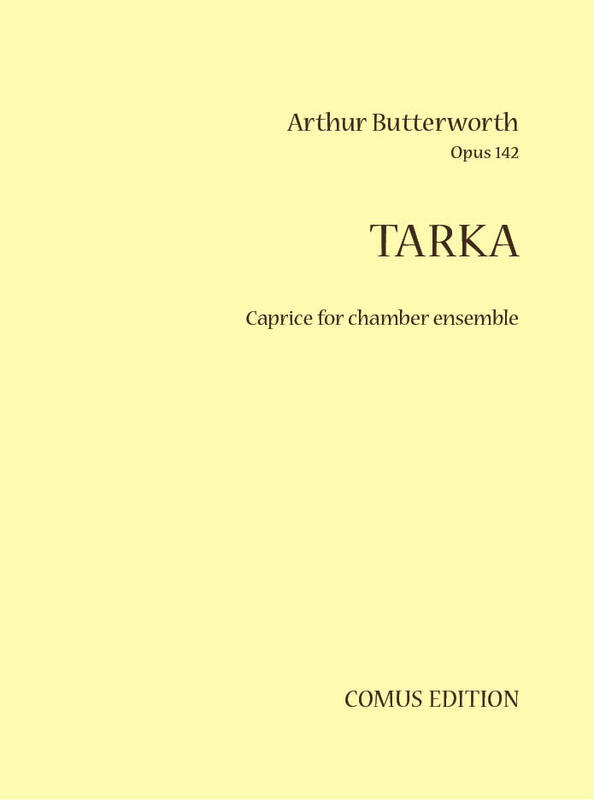 'Tarka' was composed in 2013 and premiered by the Manchester Chamber Ensemble conducted by Richard Howarth at the Ilkley Concert Club David Pyett Celebration Concert given at the King's Hall, Ilkley on 2 October 2013. The programme also included the original version of Copland's 'Appalachian Spring' and Butterworth chose the same instrumentation for his own work. 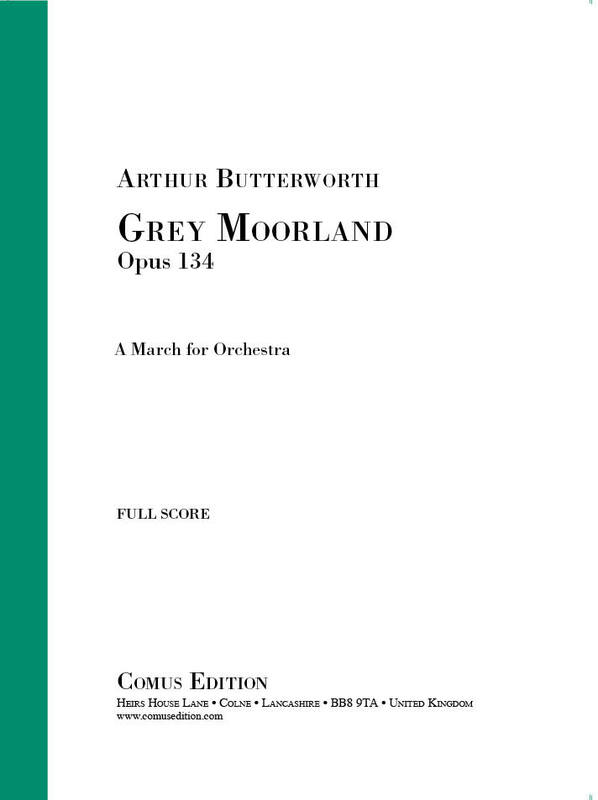 Throughout his creative life Arthur Butterworth lived in the North of England and much of the music he wrote was first brought to life there by the many local musicians and orchestras. This brisk concert march was composed in 2008 for the Settle Orchestra with whom the composer had a long association. In June 2017 they celebrated 50 years as a community orchestra including Grey Moorland in their anniversary concert.